Save $6.98 on TRESemme Pro Collection Shampoo and Conditioner with a new sale and high value coupon. 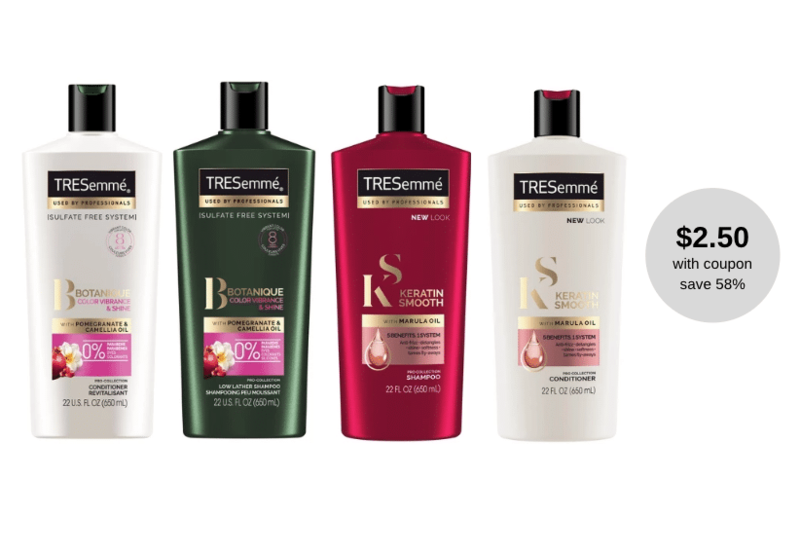 The TRESemme Pro Collection hair care is on sale for $4.50 through April 22nd. 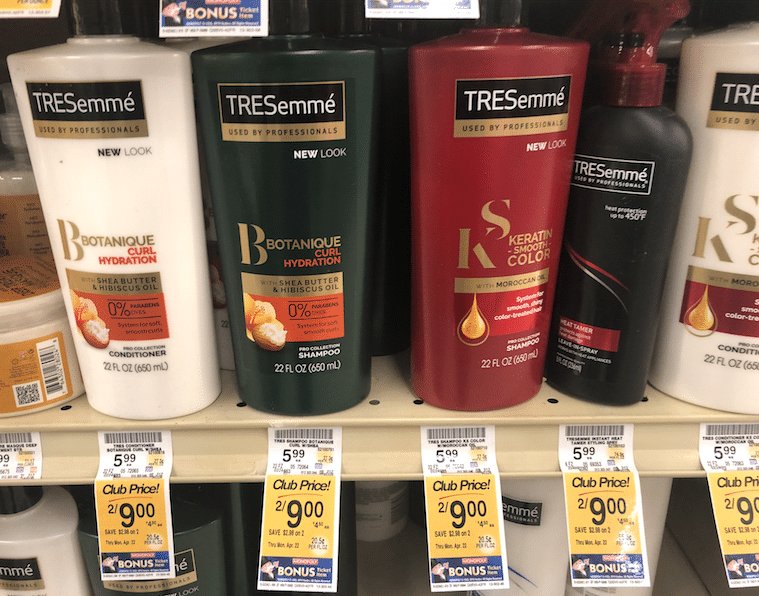 There was a new $4.00 off 2 TRESemme Pro Collection coupon in Sunday’s retailMeNot insert that you can pair with the sale to get hair care for just $2.50 a bottle. Normally $5.99 each, you’ll save 58%! Unilever, the parent company of TRESemme is also running a new Take a New Look Spring Beauty promotion where you can earn a $10 reward when you spend $30 on participating Unilever products through May 31st. You simply have to snap a pic of your receipt and upload it to their site and you’ll get a $10 reward. BONUS – These are Monopoly Bonus Ticket Items, so you can earn extra game pieces to SHOP, PLAY and WIN Monopoly at Safeway.